The Logstash ArcSight module enables you to easily integrate with the ArcSight Data Platform (ADP) to explore and visualize data in real-time with the Elastic Stack. Note: The ArcSight Module is an X-Pack feature under the Elastic Basic License and is therefore free to use. Please contact arcsight@elastic.co for questions or more information. The Logstash ArcSight module enables you to easily integrate with and augment the ArcSight Data Platform (ADP) to explore and visualize data in real time with the Elastic Stack. 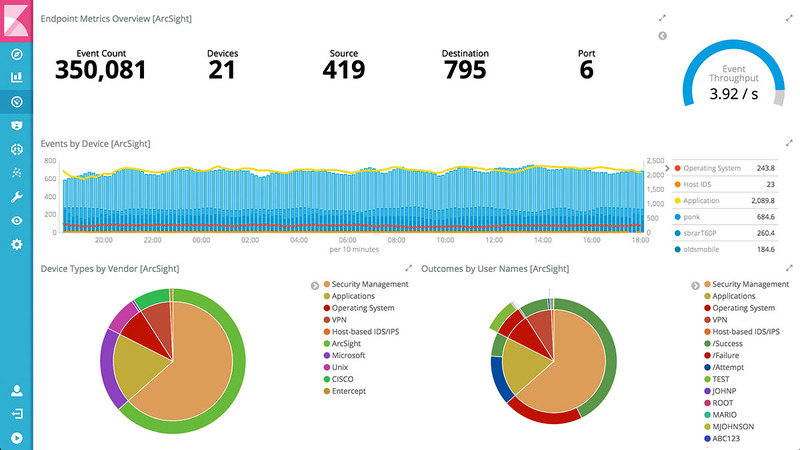 With a single command, the ArcSight Module taps directly into the ADP data stream, parses and indexes the security events into Elasticsearch, and installs a suite of Kibana dashboards to get you exploring your data immediately. The ArcSight Module is available starting with the Logstash 5.6 release. 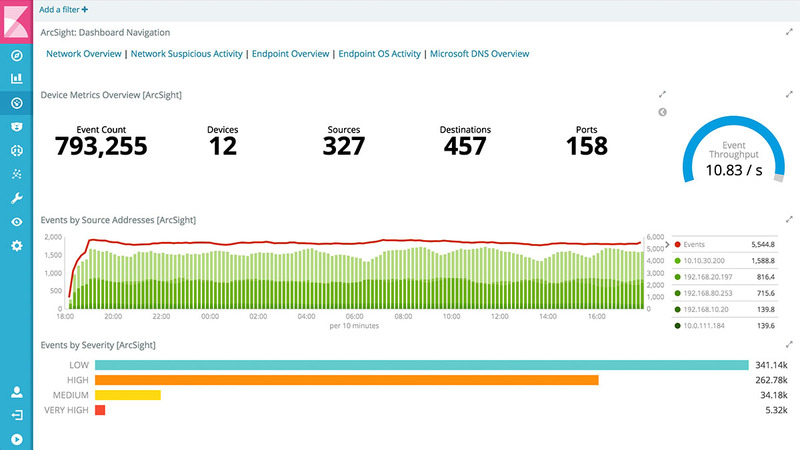 Security analytics with Elastic Stack and ArcSight together offers the best of both worlds. See more, act faster, secure it all. 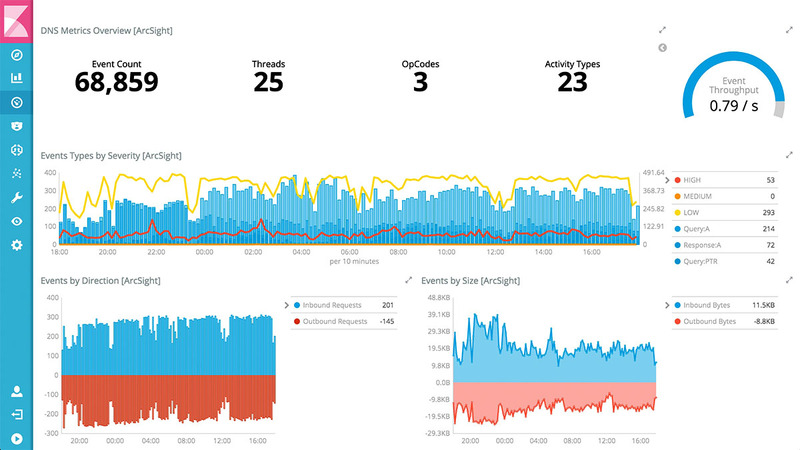 This release is packaged with a suite of Kibana dashboards for the network, endpoint, and DNS use cases.